Learn how to draw using cool printable e-books! Feel like drawing is too difficult nor not for you? Sketching a simple cartoon animal is a painful process? Let me introduce a simple solution that can help you achieve your goal of becoming better at drawing. It is so simple that even younger kids can learn using this simple technique. Do you know what the best part is? Learning to Draw Has Never Been So Fun! Drawing cute cartoon illustrations should be a simple exercise. Using fun templates made from basic shapes, this collection includes everything you need to learn quickly and effortlessly. 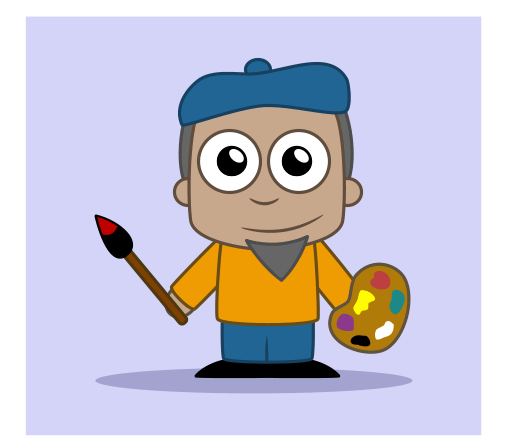 Lessons are so fun that you won't even notice that you are learning while illustrating cute characters! With just a few minutes of practice every day, you will learn how to draw simple cartoon characters using easy printable drawing lessons. Simply trace over the templates, follow the guidelines and learn seamlessly all the steps required to draw each character. Once you are familiar with an illustration or a character, you will also gain in fluidity, control and precision. Drawing simple shapes will be a more natural experience and building a character won't be a secret for you anymore! Everything will be better and quicker! Not only will you be able to draw beautiful animals, but you will also be able to draw characters, vehicles, objects and everything that makes this world fun and special. Some animals and characters are also available in various designs. While drawing characters from this series, you will also gain the ability to draw your own cartoon characters and develop your own style using all the knowledge acquired. A great opportunity to create original images not found anywhere else! Once you know how these lessons work, drawing won't be a pain anymore. It will become a fun and effortless activity just like it should be. Not only do you have access to tons of content to learn how to draw, but you will also learn how to stimulate and unleash your creativity! Tons of Lessons to Keep You Busy for Weeks! Learn how to sketch and draw 83 adorable animals like insects, sea creatures, farm animals and wild animals. All characters are drawn using basic circles and rectangles that are easy to illustrate! 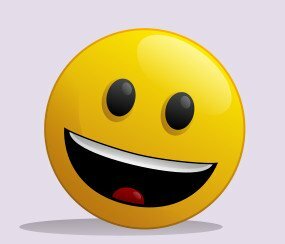 Create tons of beautiful and simple cartoon characters that are made from simple shapes using this valuable resource. 60 fun lessons including monsters, fictional characters and people are available. Hungry? Cool! 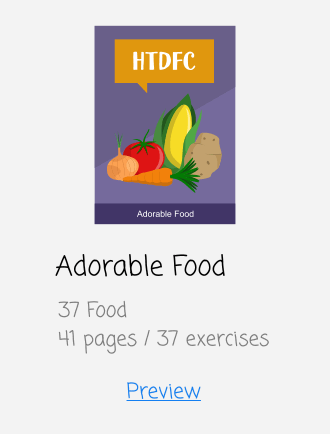 Then, this fun printable e-book featuring 37 fruits, vegetables, meals and treats is definitely for you! Learning how to draw nice cartoon food has never been a more ... delicious experience! 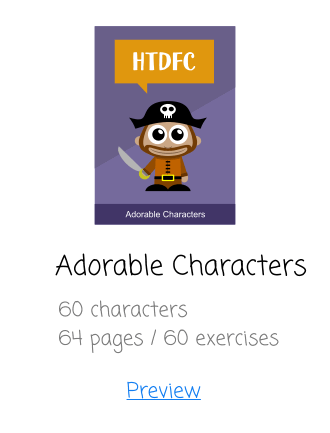 This e-book is filled with 50 simple cartoon characters made from basic shapes and 250 easy printable drawing activities. Just print the pages that you enjoy the most and start drawing immediately! You can now learn how to draw a total of 50 amazing and adorable cartoon animals using 7 different drawing activities for each character. With a total of 350 different activities, the choice is all yours! Don't feel like sketching some of the tutorials from this site on your own? No problem! 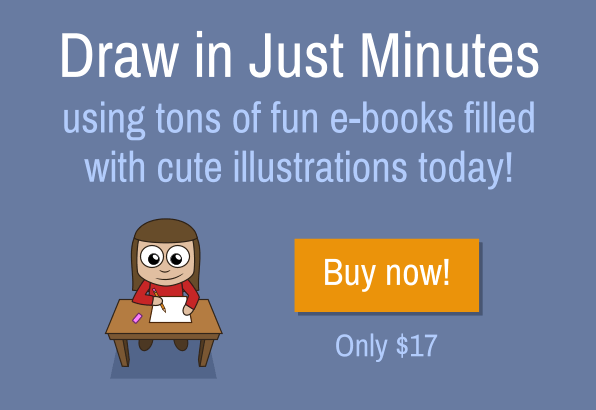 This fun printable e-book is filled with 59 great drawing lessons from How-to-draw-funny-cartoons.com. A practical solution perfect for anyone! 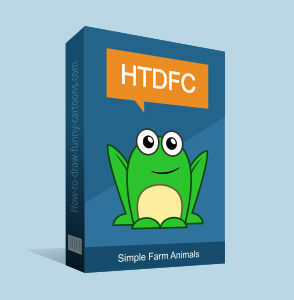 This huge collection includes all cartoon animals from the advanced section of How-to-draw-funny-cartoons.com. Included are easy and fun step-by-step tutorials that can be achieved by anyone, even beginners! This amazing collection includes all cartoon characters from the advanced section of How-to-draw-funny-cartoons.com. All your favorite characters are included in this great resource that is accessible and fun to work with. 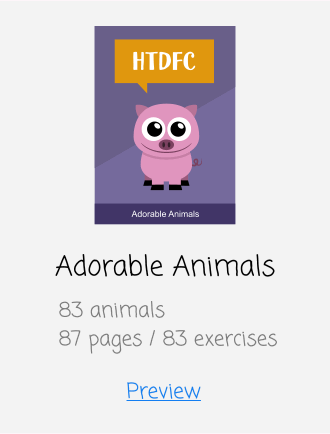 Another fun e-book featuring 46 animals and 322 drawing tutorials. 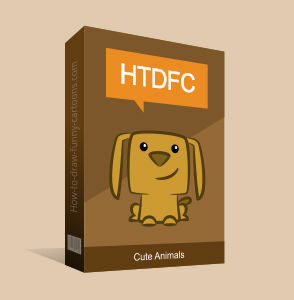 Each animal comes with 7 different lessons to choose from. Simply select the ones you are most comfortable with and start drawing now! 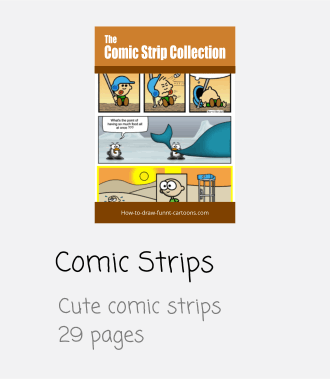 This document is filled with 38 various cartoon characters and 266 drawing tutorials. Each cartoon character comes with 7 different drawing lessons to choose from. Another great alternative for those looking for simple lessons to work with! Don't feel like working with characters? No problem! These original drawing lessons are filled with 25 adorable vehicles and 175 original drawing tutorials. Each vehicle comes with 7 different lessons to choose from. Learn how to draw 44 fun cartoon animals mostly made from circular shapes and simple curved lines. Each drawing lesson consists of 5 different exercises for a total of 220 great printable activities for everyone! More Creative Bonuses for More Creative Fun! Learning doesn't have to be a boring experience. Really! 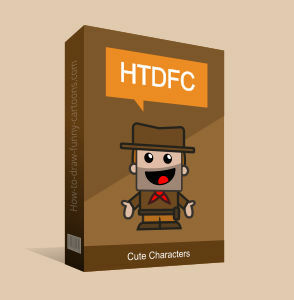 You can also learn a lot just by reading these adorable comic strips filled with useful comments and fascinating tips. Perfect if you want to spend a relaxing moment with yourself. The secret collection is loaded with strips that are funny, visually appealing and 100% original. Some strips were created with unusual panel composition and weird background. A great learning experience for all of us! 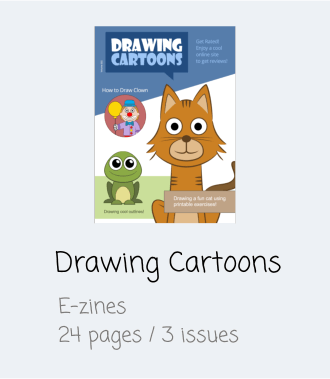 Enjoy three fun issues of "Drawing Cartoons", an e-zine featuring exclusive drawing lessons, useful tips, comic strips, simple games and more. All you need to relax, have fun and learn cool stuff at the same time! Being creative isn't always easy. Finding the perfect idea for a video game or a book can be a long and painful process. 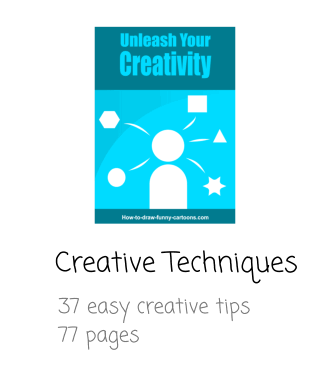 Learn how to become more creative using 37 accessible tips that can be applied almost anywhere! 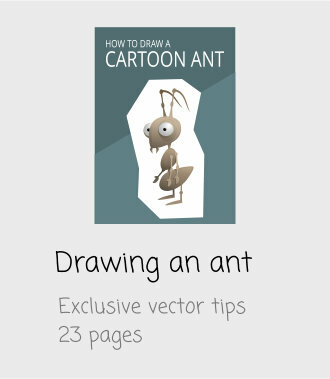 Learn how to create cool digital effects on a character using this fun tutorial on how to draw a cartoon ant. Draw shadows, highlights and reflections easily so that you can end up with a realistic cartoon illustration in no time! 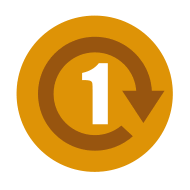 Once your payment is completed, you will receive a download link that will remain valid for one (1) year (with a maximum of 25 download attempts). All new content or updates added to this collection will be available through this link for the next 365 days. Another nice feature to help you draw even more cute cartoon illustrations! You can now have access to all the printable tools you need to get better at drawing and use the most flexible license usage possible! E-books and pages can be printed as often as needed. Teachers can also use these e-books in classrooms and share tutorials with students. It's all included with these packages! A nice alternative to keep them busy for a while! Whether you need to print tons of copies for yourself or share these fun drawing lessons with your students, enjoy the freedom of a license made for people like you! You can read the license here. Stress-Free 100% Money Back Guarantee! I am convinced that you will find all the drawing lessons you need to learn to draw quickly and effectively. But if, for any reasons, you are not 100% satisfied with all the content available in this collection, just send me an email within 30 days from the date you purchased these e-books and I will proceed with a full refund (no questions asked). Your satisfaction is my top priority and you have a whole month to play with these tutorials, draw and discover all possibilities! You Can Do It! Learn How to Draw Now! It's your chance to learn to draw cute characters within minutes! Anyone can do it. Learning how to draw has never been so easy. With a total of 1297 pages available (packages and bonuses included), this is an offer that cannot be matched anywhere else! PS: Don't miss the opportunity to become better at drawing. Unleash your creativity now and draw all the characters and animals that you love today! 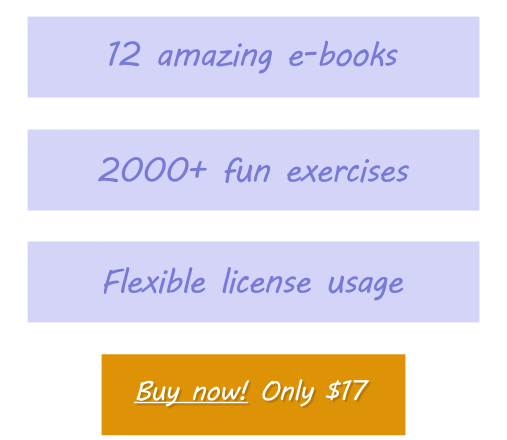 PSS: With a great variety of drawing tutorials and the most flexible license usage possible, this collection offers everything you need to help you learn how to draw within minutes! PSSS: With a rock solid 30 day money back guarantee, the risk is on me!